RDA IMEI Tool is a small application which allows you to flash IMEI on any RDA Chipset based Smartphone and Tablets. 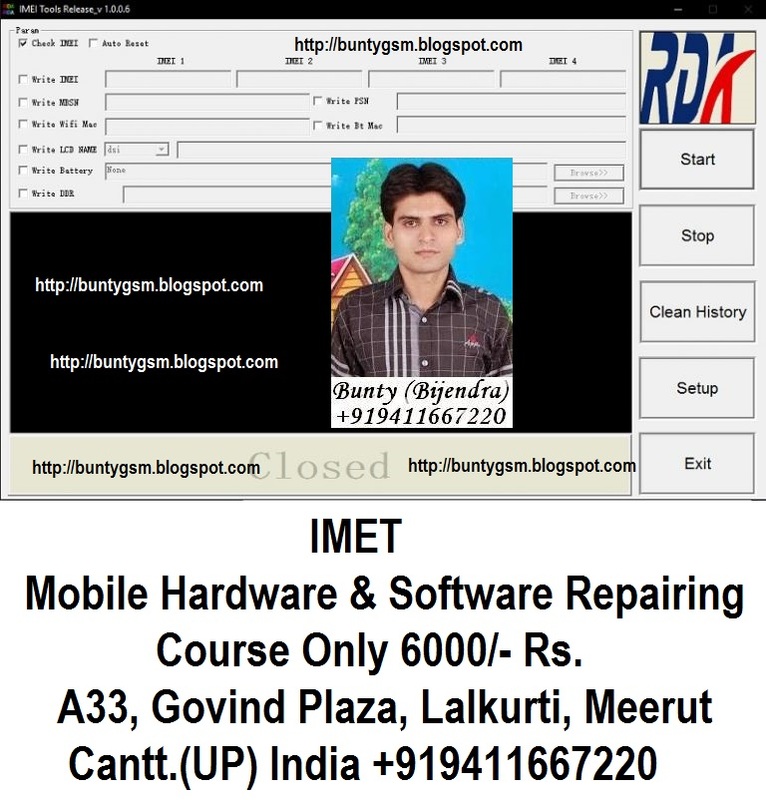 Here, on this page, we have managed to share the latest version of RDA IMEI Tool along with the previous versions. It allows you to write IMEI on any RDA Smartphone and Tablets, whether it is of Single SIM, Dual SIM or Multiple SIMS (upto 4 IMEI). It allows you to write the MBSN on any RDA Smartphone and Tablets. You can Manually Input the MBSN number or load it from the text file. It allows you to write the PSN number on your RDA device. PSN number can be entered manually, or can be loaded from any text file or can be entered as custom Init code and Mask. It allows you to write the LCD name on your RDA chipset based Smartphone and Tablets. You can choose DSI, RGB and MCU options while writing the LCD name. It allows you to write the WiFi Mac address and Bluetooth Mac Address on your RDA Chipset based smartphone and Tablets.